Even though I was unsuccessful in my attempt to become the Biggest Baddest Bucket List winner I want to share why I think the winner should come the Whitsundays! Being from Illinois USA I did not have the pleasure of growing up around water, instead I was greeted each morning with beautiful cornfields. So coming to the Whitsundays was a dream come true! The outdoorsy side of me took over and the water-deprived side of me did not know where to start with all of the amazing activities! When you come to the Whitsunday you are overwhelmed with all the activities and endless things to do it’s hard to decide what to do first. The best place to start is the Great Barrier Reef! Although there are other destinations on the East Coat of Australia where you can access the reef the Whitsundays is actually located at the heart of the Great Barrier Reef and has more than just the reef to explore, it has 74 tropical islands for you to explore. 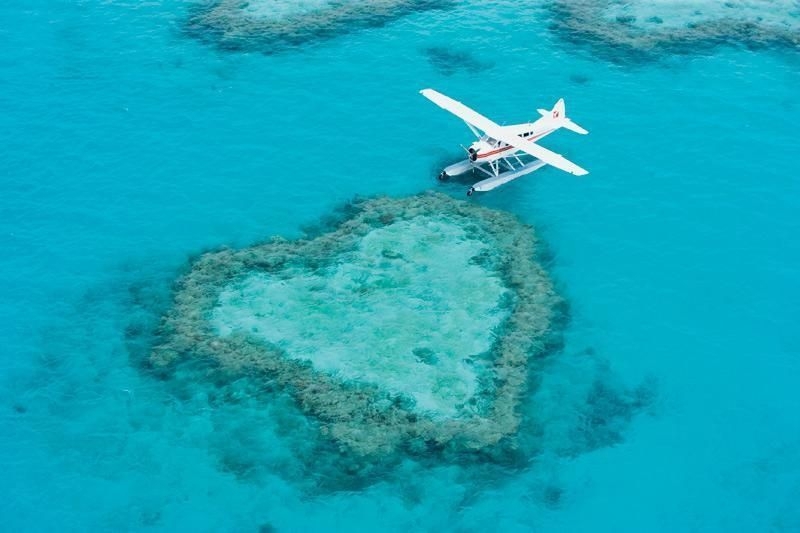 The amazing Heart Reef, in the Great Barrier Reef, is best accessed from the Whitsundays. You can see the Reef from the water by booking one of the many cruise options with Cruise Whitsundays, who also offer snorkeling and scuba diving! Or you can see the Reef from the air in a plane, sea plane, or helicopter! You can even take your aviation adventures to the next level and go skydiving over the islands! If you go with Skydive Airlie Beach you will get to relive the experience over and over again because they record your skydiving experience! 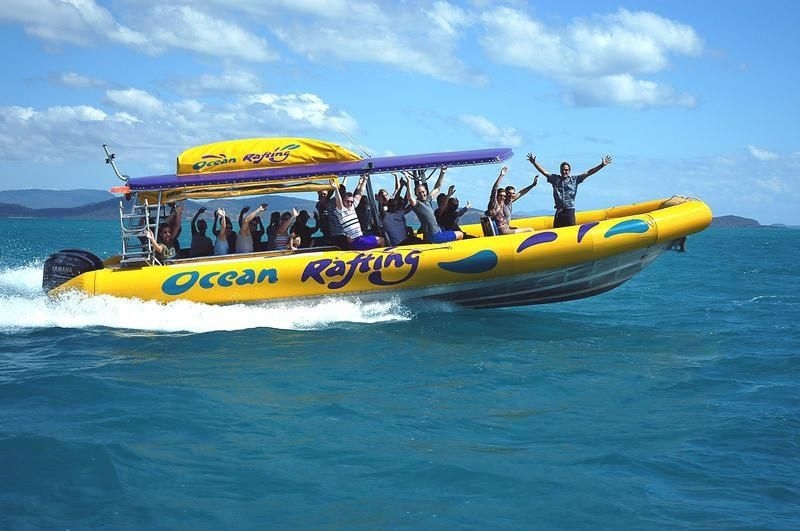 Besides going out to the Great Barrier Reef there are many other water activities from the mainland and the islands! One of my favorite activities was going Ocean Rafting! Ocean rafting is a fun, fast way to travel around the Whitsunday Islands. Or you can go off on your own and hire a boat, trailer or kayak from Yehah Boat and Camper Hire or Salty Dog Sea Kayaking. One exciting activity I have yet to experience is Jet Skiing! You can take a Jet Ski tour from Airlie Beach within the Great Barrier Reef Marine Park, which is a World Heritage Area. If you’re looking to have a calm getaway there’s the Proserpine Golf Club where you can experience an “old school country-side”. Or go fishing with Whitsunday Fishing Charters in some of the best fishing grounds in the Whitsunday area! But don’t forget to watch the sunset with Sundowner Cruises. Love to shop? You’ll never be bored with all of the shops available on the main street of Airlie Beach. 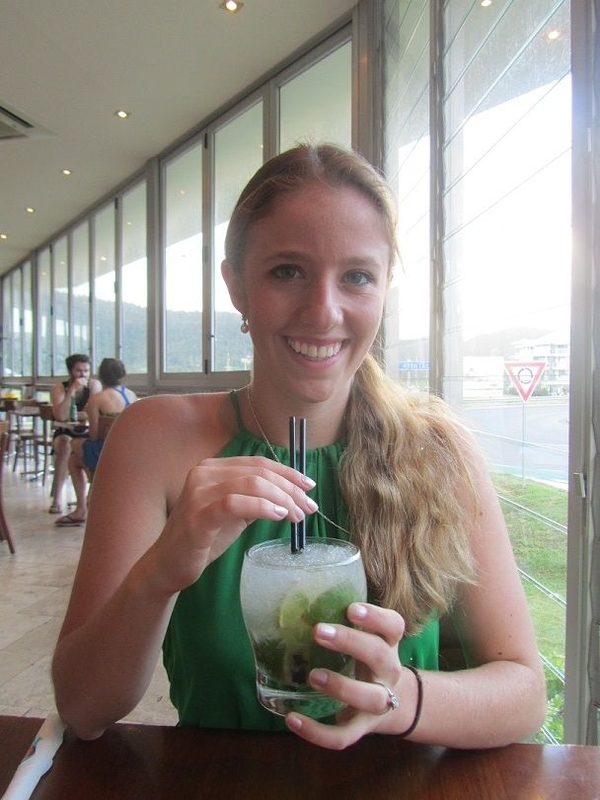 Then of course, you have to stay for the weekend to shop through the Airlie Beach Markets! 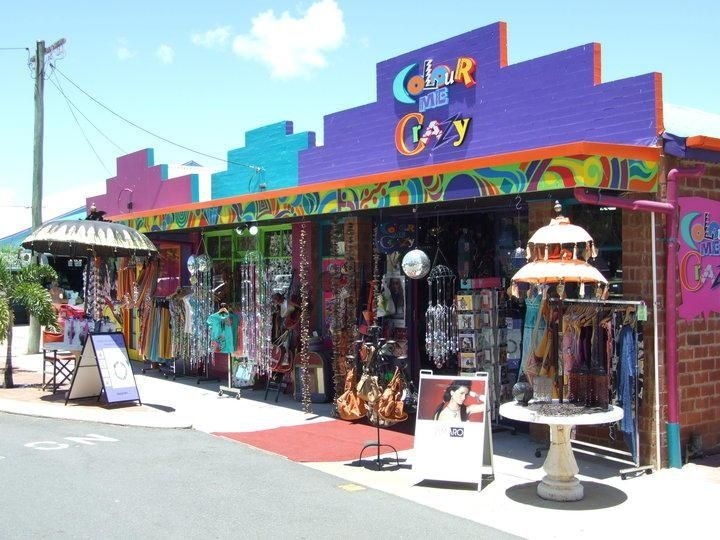 If you are looking for unique gifts or interesting treasures then you have to go to Colour ME Crazy in Proserpine. After a full day of shopping and activities you can enjoy a great night out listening to live bands at Beaches or go to Mama Africa Bar and Nightclub! The best part is all the pubs are all on the main street so you can visit more than one in a night! I have to say that if you are going to be in Australia and you like seafood there is no better place to get fresh delicious seafood! There a variety of restaurants that has great seafood like the Whitsunday Seafood Bar and one of my favorite restaurants Fish d’vine. Fish d’vine is an award winning seafood restaurant and Rum bar. If you thought you have had the best mojitos in the world then wait until you try them from the Rum Bar! If you’re not into fish there is a wide variety of restaurant from La Tabella Trattoria Italian Restaurant, Cactus Jack Bar and Grill, Mr Bones Pizza Bar and Get That India. Not only is the Whitsunday an attractive location for thousands of backpackers and Australians to go on holiday each year but the locals make you feel right at home! Everywhere you go people are open and willing to help you find your way or take time to tell you their stories! 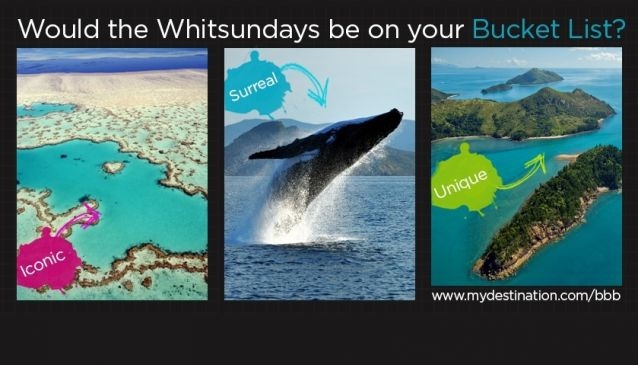 So to the top ten of the Biggest Baddest Bucket List… come to the Whitsundays! I promise it’ll be one of the many places in the world you’ll enjoy making memories in!